We recently got hold of some Coconut Jam and have been having a play with what we can use it for….this turned into coconut-based flapjacks which were delicious!! 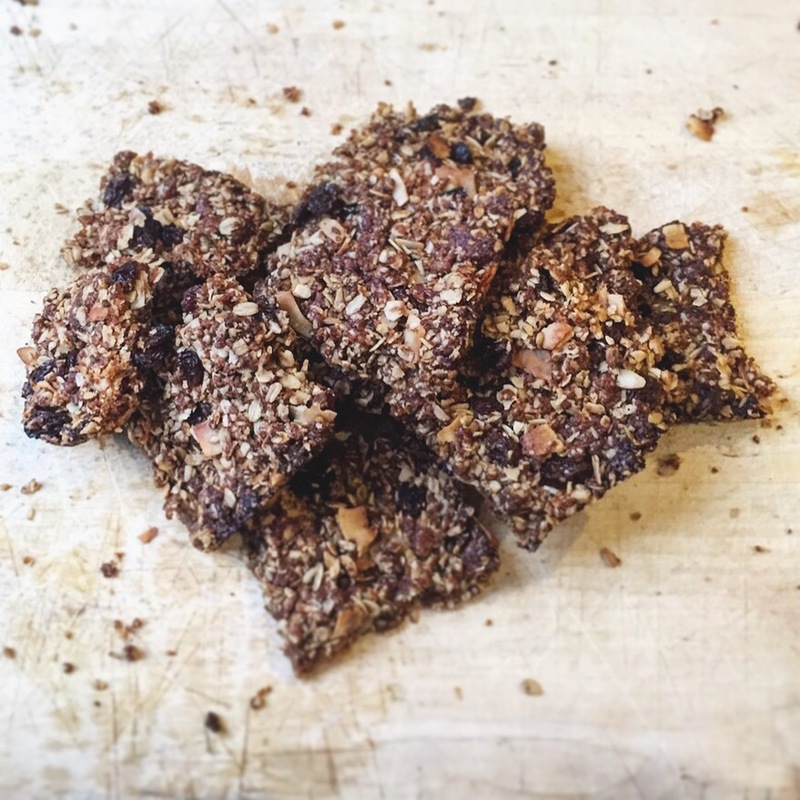 They are free of refined sugar, full of nutritious coconut and have a rich treacle-like flavour. So easy and quick (my favourite type of recipe) and perfect as a snack, for breakfast…or as a little treat! 1) Soak the sultanas in hot water. 3) And pulse until well combined, but ensure that the oats still have a good form and aren’t too finely milled. 4) Drain the sultanas and add to the mix along with the tasted coconut chips and combine well. 5) The mixture will look slightly like bread crumbs and won’t be that moist but once everthing starts to heat up in the oven it will stick together well. 6) Pour into a shallow lined tray and level the mix out with your hands. Once ready leave on a cooling rack for about 10 minutes, then divide the recipe into 12. Once it’s cooled, remove from the tin and you’re ready to eat away!